“You need sense, not names!” – grumpy graaar-man. 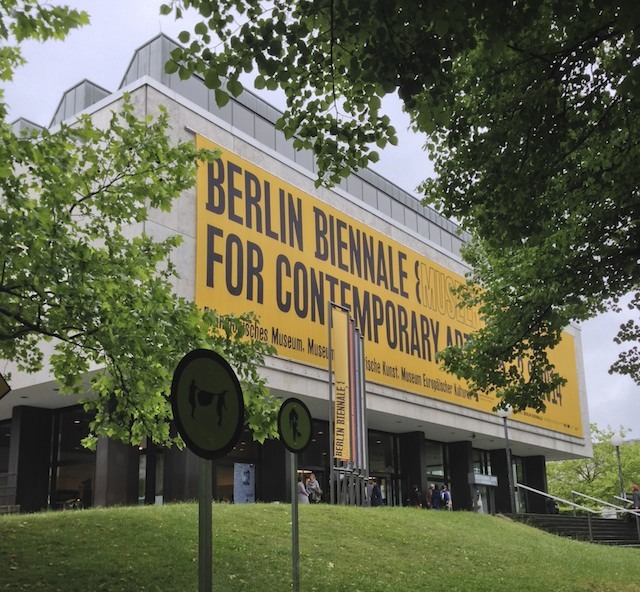 I went to the opening of Berlin Biennale 2014, at the Dahlem Museums. Lots of well dressed museum people, and a well dressed museum. It’s actually a contemporary art exhibition inside a historical cultural museum, kind of an exhibition-on-top-of-an-exhibition. New works are displayed on top of the regular collections. If art was a dessert this would be a cake with pudding. Openings are rarely the best times to appreciate artworks for hours, but since I rarely appreciate artworks for hours, we have ourselves a win-win situation in an exhibition-exhibition setting. I really liked the works of Wolfgang Tilmans. In particular the huge dead-screen printout in the main hall, a massive poster of only static. 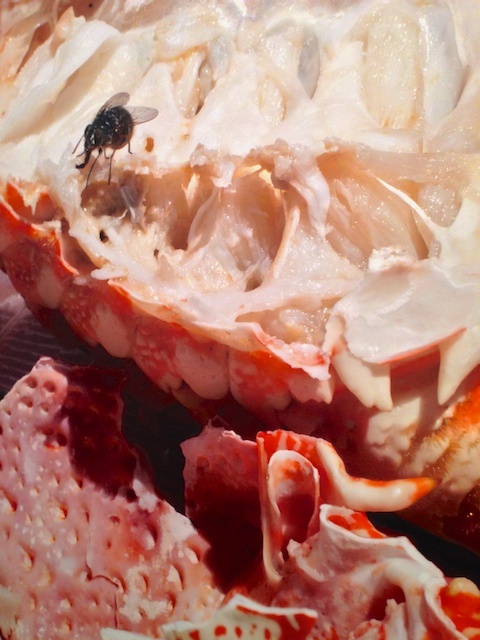 And his works in the Early Contact With Europeans room, the Nike sneaker shoe and mildly disturbing crab. At one point an old man, with his arms on the back the way old men have them, was standing in front of an artwork info-panel. I politely asked him to move so I could note down the artist and title of a work I liked. 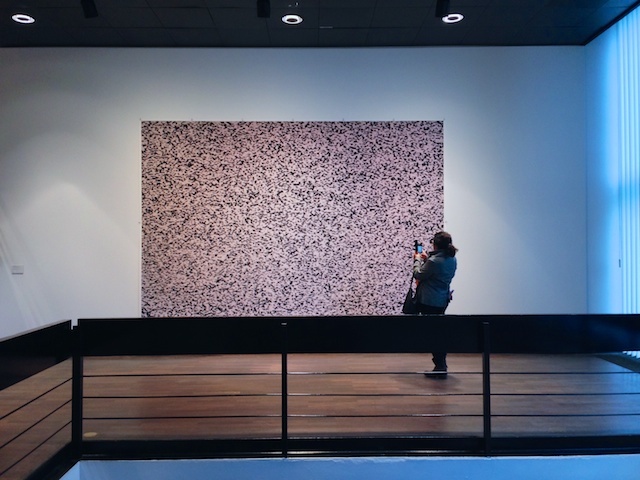 “GRAAAR you need to think about the art, not know it’s name!” he exclaimed grumpily in German. And then he moved. Later I saw him looking at an info-panel. Still with his hands on the back. Why do old people hold their hands on their back. Do they keep them like that when they’re at home too? In the shower? Hanging out at the bar with friends? Drinking their beer from straws, hands on their back? No wonder they are grumpy. Drinking beer from straws makes it really foamy in your mouth. Of other peculiar observations, I noticed a lot of the art was paper-and-pencil based works, all of them in small sizes. Interesting. A trend? A worthful visit, cake with pudding art and clever advice from grumpy old man. Expedition success.